For Mahindra Truck & Bus Division and its 800+ strong team force, Rise is not just a word; it’s a way of life. It embraces the business in its entirety and then goes beyond it to touch the lives of its stakeholders. The driver community is one such stakeholder, playing a critical role in the trucking business. At Mahindra Truck & Bus Division, it’s an integral responsibility to drive the lives of people who drive businesses to success. With this thought emerged the Mahindra Saarthi Abhiyaan in the early 2014 to award scholarship of Rs. 10,000 to daughters of HCV drivers. 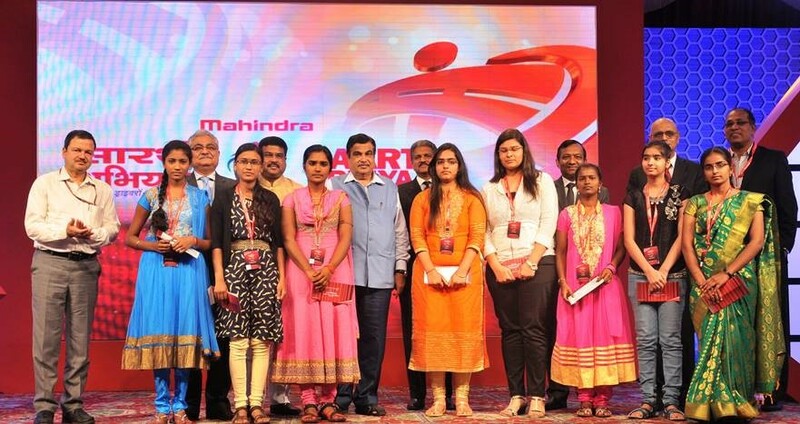 Taking the idea to the next level, Mahindra Truck & Bus Division launched an essay competition for the 1108 Mahindra Saarthi Abhiyaan scholarship awardees at the Mahindra Transport Excellence Awards, 2015. The august session had esteemed guests like Shri Nitin Gadkari, Hon’ble Minister of Road Transport & Highways. along with Shri Sanjay Mitra, Hon Secretary, Ministry of Road Transport & Highways, Shri Abhay Damle, Joint Secretary, Ministry of Road Transport & Highways; Mr. Anand Mahindra, Chairman and Managing Director of Mahindra & Mahindra; Dr. Pawan Goenka, Executive Director and President – Automotive & Farm Sector – Mahindra & Mahindra; Mr. Rajan Wadhera, President and Chief Executive – Truck, Power Train Division and Head – MRV; Mr. Nalin Mehta, CEO & Managing Director, Mahindra Truck and Bus Division and Dr. Bhaskar Das, Group CEO, Zee Media Corporation Ltd.
Apart from the guests what followed next was pure bliss! Reams & reams of emotions carefully captured on paper by the daughters of the truck drivers; tracing the journey from struggle and despair to hope and faith, love and respect. The central character being their fathers, the truck driver’s daughters penned inspiring stories of sacrifice and dedication. 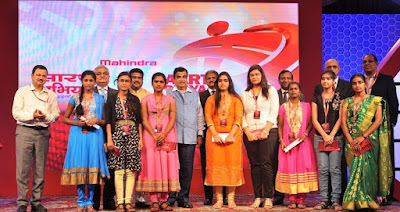 8 finalists or Super Laxmis as christened by Mr Anand Mahindra that were shortlisted were Divya Rathee, Tamanna, Smita Kumari, Vaishali Kumari, Pooja Shivaji Mali, Sonali Jamadar, K. Vinitha, S.Kanimozhi. They were awarded a cheque and certificate. While Divya Rathee and Smita Kumari went ahead to the semi-final, Pooja Shivaji Mali bagged the first prize. The top 3 winners got a chance to gift their father a Mahindra BLAZO 25 truck. Mahindra Truck and Bus Division picked up the down payment and on-roading cost for these trucks with easy finance options by Mahindra Finance. Pooja’s story was truly heart touching, nothing less than the story of trials and tribulations. 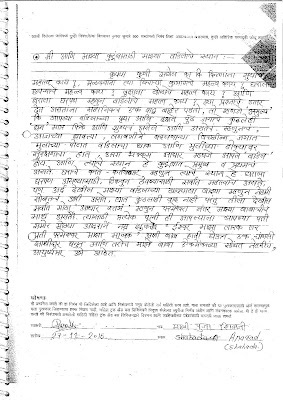 The essay she wrote touches on parts of her father’s life, from poverty stopping him from education to truck driving becoming his default career option; the dark phase of their lives where Pooja’s father turned to drinking and a sudden encounter with a close friend who guides him through the rut and inspires him to change his destiny. . From working during extra hours in farms, to teaching lessons of frugality to their kids, the husband-wife duo instilled values into their children. The family comes together to pull themselves out of dire poverty. Pooja today has completed her BSc in TV technology and sees her family experiencing a better future. The Mahindra Transport Excellence Awards witnessed the joy of empowerment yet again, re-establishing the role of Mahindra Truck & Bus Division in the betterment of the trucking community.